Personal loan is always an option to look for when you need huge amount for unseen or unknown reasons. Though it is quite expensive, it is accessible. 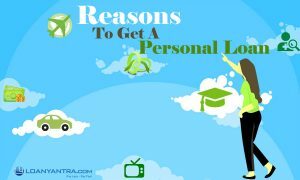 People look up for personal loan for different reasons. Some reasons can be really for true and good while others reasons for personal loan can be for a mere waste such as taking personal loan for gambling is really not a wise decision. 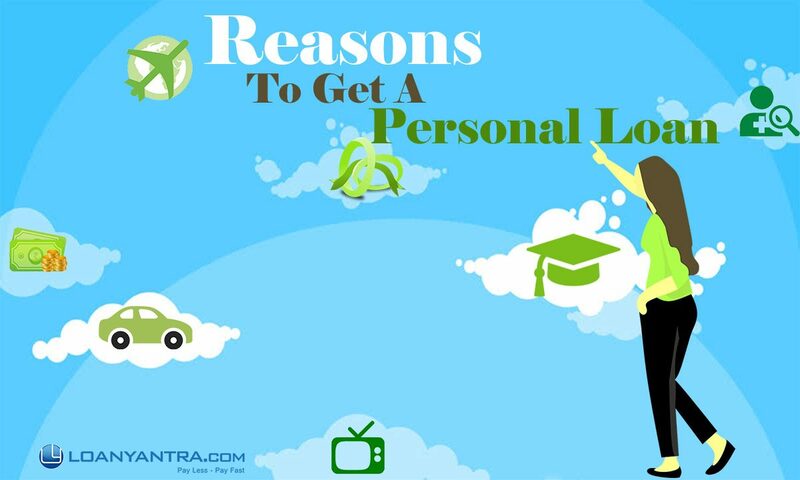 However, loanyantra helps you to find out the real reasons for when to get a personal loan. Paying off debt / To consolidate Debt : You may be stuck up with some long-time pending loans which may be eating too much of your income. Personal loans are handy and affordable as you can avail the personal loan to pay off those debts. Some of such debts may include, credit card bills, car loans, home related loans like home improvement loans,etc. At times, you might have different loans under different names paying different interest rates. To avoid confusion or if you find clearing all the loans is worth, then opting for a personal loan is best. Home improvement loan is not given for 35 year old houses or if the applicant’s age is above 60 years. To get a personal loan, the banks will not ask to mention a reason. So, if you need changes for your old house, you can get a personal loan. Paying credit card bills on-time will not affect your credit score. So, it is always advisable to get a personal loan within your limit and clear off all the debts and bills. This will help you in further loan applications. 2. Medical Emergencies : Nothing is more important or more expensive than health. Your insurance might take time to cover your ill health or your dear one’s expenses or medical bills. Or you must not have opted for insurance ever. So, you can avail personal loan to cover all your medical expenses either the unpredictable ones or expenses to fulfill daily medical expenditure. 3. Perform a Wedding : Now-a-days it is very common to plan well in advance to perform a wedding. But marriage is something you never knew what and where it happens or rather when it happens. It truly is ‘Planning the unplanned’. The so called investments might not reach the maturity period and you might not be able to be left with cash in hand. So, irrespective of the plans, you can anytime go for a personal loan to fulfill your heart content style of wedding. But remember opt for a loan amount to an extent you can repay it. 4. Luxury Needs : Today’s world is in comfort-friendly zone. So, if you are in need of that high-end phone or a laptop, or if you crave for that newly launched car or a smart T.V., you can definitely get a personal loan. Usual lifestyle now in India is having a fun-filled and lovely family time. So, the financial crisis might interrupt your vacation plans. Personal loans always help you to fulfill all your dream desires. Personal loans are therefore also known as multi-purpose loans as they may be used for a variety of reasons. The lender does not question the intent of the borrower. Moreover, loanyantra is always with you to take care of your financial health. We assure you with a lower interest rate and that too with the best bank. Also avail the discount for one full year which will again reduce your interest rate.